Sterling silver. Width at the top 7mm. Polished finish. 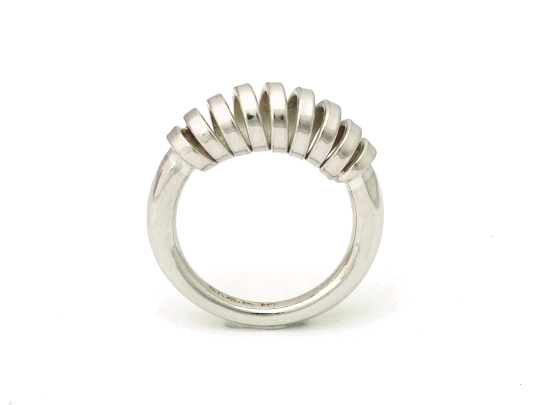 This distinctive and original ring can be matched with pieces in both the Fine Spiral and Gallery Ranges. Please read the guide to ring-sizing and then select the required size from the options on the right. 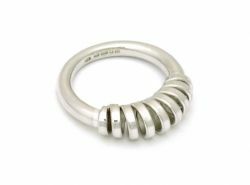 If unsure select 'Don't Know' and Daniela will send you a free ring sizer to establish the correct size after the order has been placed.